Call us today for work boots! Living in Houston, TX, you've got to be up to date on the latest western fashion, right? With the help from Cavender's, you can get the western fashion that you are after. From cowboy boots and cowgirl boots to belts, jeans and shirts, we've got something for you. Since 1965, the Cavender's family has provided quality western wear in the true spirit of the Southwest & western fashion. Cavender's has more than 50 locations across Texas and the Southwest. Because we wear what we sell, Cavender's gives you first-hand knowledge of what works! We can outfit the ranch hand as well as the socialite for the Cattle Baron’s Ball. We have the largest cowboy boots and cowgirl boots selection anywhere in the world and we offer our customers the best prices around. We employ a fun and knowledgeable group of people to serve you. They are committed to offering you an enjoyable experience and help you find the products you are looking for. From the western wear to the friendly staff, we are sure you will be coming back time and time again when you are in need of western fashions. At Cavender’s in Houston, we know your life is anything but simple. You work hard. You play hard. You don't just need hot trends. You need quality and comfort in cool, easy-to-wear styles that look great and fit your life. We are not just a shoe store, but a western wear store full of the finest western fashion. Check out our selection of work boots today! 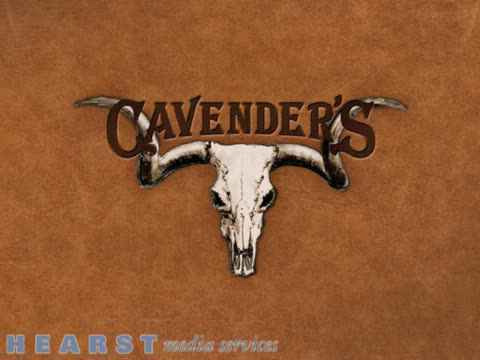 At Cavender’s, we strive to fit you with the best styles of shirts, jeans, belts and belt buckles, cowboy boots, and outwear. We offer the perfect fits in western wear including, cowboy boots and cowgirl boots. Stop in to view our selection today! At Cavender's, we know looking good is a way of life. That is why we searched the western world to find the most flattering fits in women’s western wear. Whether you’re barrel racing, having a night out with the girls, you'll find the best clothes at Cavender's. From shirts and jeans to boots, dresses and outerwear, your closet will be filled in no time. From work to chic, we've got women's western wear covered! No matter the occasion, Cavender's has got what you need. Choose from cotton dresses, Chiffon short sleeved shirts, Affliction t-shirts, knitted poncho cover-ups, long sleeved blouses, maxi skirts, boot cut jeans, cowgirl boots, and plenty of accessories. You'll never want to shop in a department store again after visit the western fashion store. Have questions on sizing or brands? Give us a call today! Whether you are going to a formal event or need new belt buckles for everyday use, we've got a wide selection to choose from, even children's buckles. Choose from event buckles, initial buckles, Texas and Western buckles, religious buckles, hunting buckles and much more. With such a wide variety, we are sure to have something that represents your style and interests. Do you need a new belt to go with one of our buckles? Most of our basic western belts have removable buckles. That means you will be able to mix and match many different types of combinations to complete your look with our selection! We carry both men’s and women’s styles and all of our buckles are made with exceptional craftsmanship Show off your state pride around Houston, TX in one of our belt buckle combinations! We have the best inventory of men's and women's Western wear including accessories like belt buckles, wallets, fashionable cowboy hats, purses, footwear, and more. When you are at Cavender's, you can fill your wardrobe with the latest fashion clothing and casual wear. We also have a large collection of belt buckles for men, women, and children. Don't forget to browse our cowboy boots, gypsy boots, and other stylish items. If you are looking for the perfect clothing shop in Houston or the surrounding areas, be sure to visit us. Cavender's carries the leading brands of cowgirl and cowboy boots including Ariat®, Justin®, Corral® and Lucchese®. Call today for information about our selection of leather and handmade cowboy and cowgirl boots! Looking for Quality Work Boots? Are your work boots getting worn and uncomfortable? When you're on your feet all day and need protection while on the job, a steardy pair of work boots is a must-have. We carry the best selection of work boots that combines comfort and protection that you’ll need while on the job. If you live in Houston and need a quality pair of work boots, stop in today and we’ll fit you with the perfect ones! In addition to an extensive range of men’s and women’s western wear, we also offer a large selection of children’s clothing and accessories. We know your child’s dreams are as big as the Wild West. Cavender's carries hats, belts, belt buckles, kids cowboy boots, cowgirl boots, jeans and children's western wear kids love. With a selection that can't be beat, and a price that won't break your budget, you cannot go wrong. If you are looking for a perfect gift idea, we have an exceptional collection of gifts that will set you apart from the other givers. Running out of time to find what you need for that hard-to-please someone? Purchase a Gift Card online today and enjoy free standard shipping with no sales tax! Stop in Today for the Perfect Selection of Western Wear! Cavender’s offers western fashion that you will not find at any other store. Whether you are looking for the perfect pair of cowboy boots or cowgirl boots, our associates are here to help you find the best fit. We are the best western wear store in the Houston area, stop in today! For more information about our wide range of menswear, women’s wear, children’s wear, work boots, cowboy boots, cowboy hats and accessories, please visit us online at www.cavenders.com where you will also find a list of our convenient locations throughout Houston and the country. As Houston, TX's top western fashion outlet, Cavender's has a variety of western wear to please the cowboy or girl in you! From shirts and pants to belt buckles and work boots, Cavender's as it for both men and women! When you visit our store, you will be able to find a plethora of different western fashion options. Women can choose from a variety of cowgirl boots, jewelry, purses and bags. Men can browse a wide variety of cowboy boots, belt buckles, western wear, and more. We even have a children's department! Stop in to our Houston location today and check out our fun western wear!